I had 3 meetings yesterday. The problem with my meetings is that when I toss them into Google Calendar, I tend to just put a name and a time in, without context. Maybe that’s my own fault but the end result is that I have a list of names and no idea about the people behind them. When it came time for my first meeting, I had no idea who Jake Klamka was. Until now, Noteleaf has been limited to the photograph and LinkedIn profile. With today’s upgrade, we get the Twitter and mutual connection information as well. It’s a supremely simple system, requiring nothing more than an initial sign-up. So how does it work? Just head to the Noteleaf site, then sign up with your email address and a password. Once you’ve signed up, you’re given the choice of what Google account you wish to associate with Noteleaf (assuming that you have multiple ones connected through Google’s system). The rest? That’s it. Go about your day. Noteleaf will take information from LinkedIn and Twitter, then fill in the “Description” field in your Google Calendar with its findings. 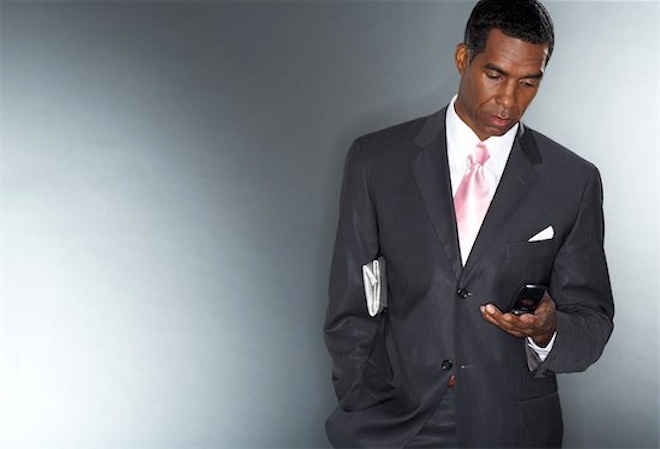 A few minutes before your meeting, you’ll get a text message with a link. Click the link and you’ll see a simple but detailed page with the information about the other party. 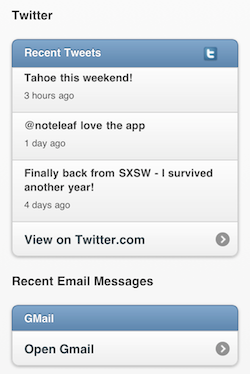 Because Noteleaf uses text messages and webpages, it should work across almost any smartphone. At the very least, it’s assured to work on Android, iPhone and BlackBerry. Context is handy stuff to have, a few minutes before a meeting. Better yet? It’s free. Just head over to the Noteleaf site to sign up and let us know your thoughts.